Do you have an impossible boss? Do you constantly have too much to do? Do you struggle to figure what makes your colleagues tick? If any of these situations ring a bell with you, then you’ve probably stumbled into the Horroffice. 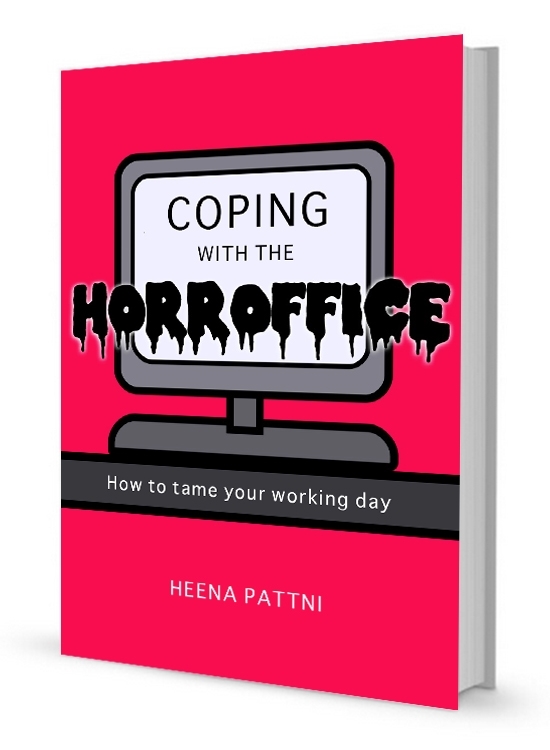 Coping with the Horroffice is written by a Horroffice survivor extraordinaire – I’ve seen the good, the bad and the downright crazy. From working for small start-ups to thirteen years at a global accounting firm, from contracting at big corporates to working for herself, I know what it’s like to cope with disruptive colleagues, difficult career decisions and the daily grind. If so, this is the book for you. It’ll help you cope with work situations that are making you tear your hair out. It’ll help you navigate your working day more efficiently. It’ll help you reclaim your sanity, serenity and sense of humour. In Coping with the Horroffice, I pass on the tips, tricks and tactics that have helped me to cope with the many offices I’ve worked in. From setting goals and creating a supportive life balance to building self-confidence and learning techniques such as mindfulness and gratitude, you will discover some simple strategies for making sure you not only cope with office life but thrive within it. In fact, this book might be the one thing stopping you from going crazy, quitting your job or dreaming of murdering your boss. So take the chance to change things forever – pull up a chair and join me at the first ever Coping with the Horroffice meeting today. So you have this crazy mix of people, all with their different views on the office, the company and life. And all these people have their own agendas. Which is fine. What you need to be wary of is getting sucked into those agendas. ‘Very easy to read and useful. I’m going to use “not my monkeys, not my circus” today’ – JG. PS – Subscribe today and I promise I won’t send you a million useless newsletters with links to random stuff. I will send you my Top Ten Tips to Banish the Office Blues for free – you can start using the tips straight away and see how it makes a difference to your working day.